Spear Green Design is an integrated engineering and design consultancy, specialising in lightweight marine fitout and styling. Spear Green Design offers the following services within yacht and vessel design, applying a holistic approach of all design elements to achieve the operational and stylistic aims of the client. 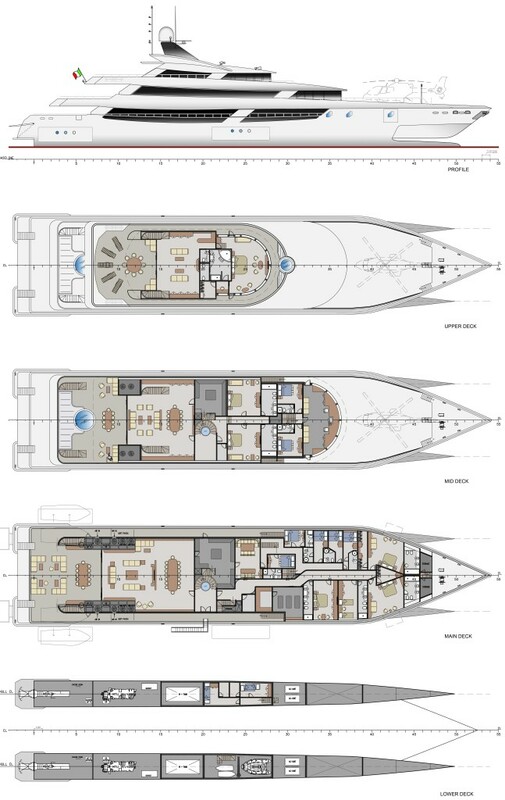 As qualified naval architects, Spear Green Design can offer design solutions which take into account a vessel’s structure, weight, stability, materials science, fire and other hazards – compliant with survey and classification society rules. We are experienced in working with many Classification Societies and organisations including Lloyds Register,ABS, BV, CCS, DNV.GL, IMO,NSCV, MCA, SOLAS, USCG and others. all within the boundaries of applicable rules. The exterior styling of any vessel, whether a newbuild or a refit is a reflection of the owner’s personality and business goals. We design vessels above the waterline to suit corporate requirements and vessel’s purpose, the climate and conditions in which it will operate, the extremes of weather it may experience, parameters of efficiency and manning and operational aspects. Our Industrial Design qualifications and experience contribute strongly to this and several other aspects of our work. Much of our work involves communication through documentation. Whether that comprises exterior profiles and models for styling, interior renderings, 3D modelling, animations and flythroughs, general arrangements, safety, emergency, fire and damage plans, schematic diagrams and systems drawings, construction drawings – backed up by extremely detailed specifications. Such documentation is required for owners, builders, other Naval Architects, Classification Societies, Insurers, Surveyors as well as masters and supply of drawings for on board a vessel and as marketing tools. Spear Green Design often manage projects from design through construction and implementation to delivery. We have managed build teams for refits as well as acting as owner’s representatives for vessels as diverse as yacht restorations and refits through to cruise ship conversions. Our thorough understanding of a project from our involvement in its design leads to an intimate and detailed knowledge of an owners requirements and goals.